In Sweden, we can provide you with a full range of engineering and support services to help you create successful projects. Whether you are in oil refining, petrochemicals, chemicals, bio refining or industrial infrastructure, Neste Engineering Solutions is here to help. 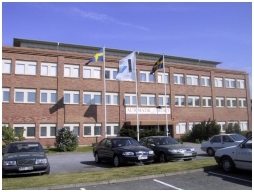 Since the 1980s, we have been taking care of customers in Gothenburg. Today, you will find a multidisciplinary office, supporting you all the way from feasibility studies to EPCM project execution and engineering services.